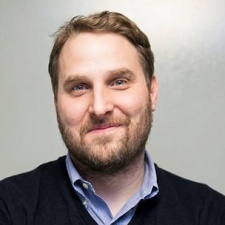 John Getze is chief marketing officer at Kixeye. This article is part of our Jobs in Games Special. 2018 was a big year for video games. I’m talking Phalanx from Shadow of the Colossus big. Fortnite memes seem to permeate every aspect of pop culture, from pro athlete victory dances to my fifth-grade daughter’s TikTok account. Moreover, widespread coverage of Red Dead Redemption 2’s trouncing of Avengers: Infinity War’s opening weekend numbers - the biggest ever by a film - confirmed what those of us working in the industry already knew: video games are bigger than Hollywood. But while video game streaming and content broadcasts become more prevalent, there isn’t the same kind of 24-7 news cycle dedicated to the people making the games that you see for those working in politics, television or film. This is largely because most consumers, regardless of how much they actually spend, still don’t self-identify as 'gamers'. The stigma associated with that moniker runs deep. There isn’t the same kind of 24-7 news cycle dedicated to the people making the games that you see for those working in politics, television or film. No matter how many hipsters try to make 'geek chic' cool, there’s always an underlying cat and mouse battle of wills saying you’re too nerdy or not nerdy enough to earn the 'true gamer' badge. The truth of the matter is that for much of video games early history, participation was limited by technical prowess. Not only was game design strictly the realm of programmers but, for many titles, even playing games required a certain level of intellectual curiosity and obsessive dedication (hand-drawn maps for early text adventures like Zork and Secret Agent: Mission One come to mind). Add in reinforced stereotypes in every '80s movie from War Games to Cloak & Dagger (both of which feature the amazing Dabney Coleman oddly enough) and you’ve got both an actual and mythical barrier to entry for everyone except the most gifted and dedicated computer scientists. That begins to shift in the mid to late '90s. With the advent of the internet and the introduction of a slew of online communities and businesses, broad content creation - memes, music and simple Flash games - began to flourish. I remember my stepfather Chris, who had recently taken a job at Apple after publishing the first online newspaper for the Hearst Corporation, asking me if I ever intended on doing something more career-minded with computers than just playing games. I don’t think I even looked up from the game I was playing (a great RTT title called Myth: The Fallen Lords) when I succinctly replied "no". I was hooked. The only career I wanted was games. Fast-forward 20 years and here I am, chief marketing officer of Kixeye: a small, independent mobile games company that I helped will into existence over eight years ago along with two amateur game designers and a very driven serial entrepreneur friend who also happens to be a major geek like me. Study the mechanics and core loops of the games you enjoy. Consider not only what you like, but why you like it. Both of us worked at consumer internet companies early on in our career and jumped, nay leapt, at the chance to fulfil our childhood dreams and work in video games. And although he does possess a degree in Computer Science and has some experience programming, the most important attribute to our success has been empathy. The ability to understand and share the feelings of other players has helped us successfully design, prioritise features and communicate with our audience. By tapping into our mindset as fans, we’re able to move beyond market data and ask the most fundamental question when making a game: “Is it fun?”. Sure we’ve had our fair share of luck, good fortune and advantageous timing, but in a world where anyone can create a game by leveraging off the shelf game engines (Unreal, Unity and so on) and self-publish to the largest video games platform in the world (yay smartphones! ), while advertising globally via social media, the technical and financial barriers to entry are rapidly disappearing. So if you’re interested in a career in video games I have good news - your work begins by playing games. Just as importantly, consider what you don’t like. Then consider carefully what story you want to share and let your quest begin.